Here are a 5 things to consider prior to hiring your next concrete contractor to take care of you concrete needs. #2. 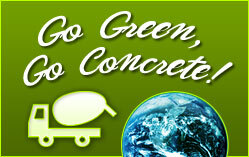 Make sure that the concrete contractor is licensed and insured. Ask for the contractor to give you a copy of their General Liability Insurance and also a copy of the Workman’s Comp Policy. Hiring a contractor who does not have this insurance could leave you to pay for property damage and any safety accidents that may happen on your project. #3. Prior to construction make sure that the concrete contractor has called in the utility locates for your property. It is required by law for every contractor to locate where all the utilities are on you property are before excavation begins. This service is free so there is no reason not to use it. This simple phone call can prevent a utility strike. #4. Compact the subgrade prior to concrete placement. Prior to placing concrete make sure that the subgrade has been compacted using a walk behind plate compactor. This will insure that the subgrade is thoroughly compact and will not settle after the concrete is poured. Settlement in the subgrade is often the reason you see random cracks in concrete. #5. Always allow you concrete to cure properly. If you are having concrete poured that is going to have vehicle traffic loads such as a driveway or parking lot be sure to keep vehicle traffic off of it for 7 days. This will allow the concrete to achieve the required strength that it needs before handling the weight of vehicles. This may be an inconvenience but this will help to reduce random cracks in your new concrete and as well as extend the life of your concrete.